Sweating too much affects your running? Fret not, with sports towels, you will be able to wipe off excess sweat that might affect your vision while running. These sports towels can be given to customers who make purchases over a certain amount and give giveaways free to them. Moreover, these sports towels are multi-purpose and can be used as bath towels as well. It is not too big in size so it can be brought out to be used after gym sessions or overseas as it is not bulky. Why the sports towels as giveaways? These sports towels can be used as giveaways by companies such as Nike, Adidas and Royal Sporting House to customers who make purchases which exceeds a certain amount at their store. Sports companies can have these sports towels as giveaways as it is in conjunction with the nature of their business – sports. 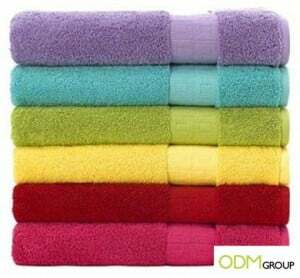 The sports towels can come in many different colours according to the companies’ preferences, such as violet, blue, green, yellow, red and pink. With many different colours, it would be able to attract more customers to make high purchases at their stores so as to be able to collect all the different colours sports towels. This would be able to help boost sales for the companies. Companies can brand their company logos on the sports towels to increase customers’ brand awareness when they use these towels outside. Whenever, customers use these sports towels, they would remember the company as brand recall and drive a repeat purchase which is customer loyalty. Moreover, these sports towels can act as free advertising tools for the companies. Other people would be able to know of the company when they see the company logo that is imprinted on the sports towels. This could help boost sales for the company and improve brand value.